A vote by the county legislature - the Hudson County Freeholders didn't occur last night on the controversial Monarch Project towers due to a lack of minimally required votes (quorum) on the nine member body. One source is cautiously optimistic the County Freeholders may not be willing to overturn the Hudson County Planning Board's denial for the Monarch Project giving a green light to IronState, re: (The Shipyard) Applied which reneged on an original agreement to build tennis courts at the pier location. Last night almost two dozen Hoboken residents showed up on opposition including from the Hoboken Tea Building. Freedholders Dorren DiDenico and Anthony "Stick" Romano recused themselves having voted previously as members of the county planning board. Freeholders Anthony Romano and Doreen DiDomenico had to recuse themselves from the vote, since they are members of the county planning board. Vice-Chairman Thomas Liggio was absent from the meeting, and Albert J. Cifelli attended via conference call. A vote is expected back on the agenda at the October 28th Freeholders meeting. 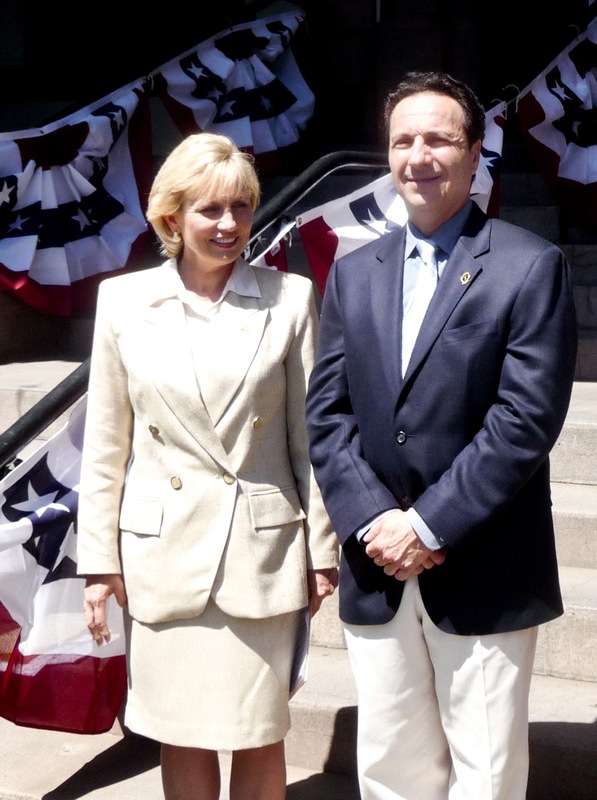 Freeholder Anthony Romano with Lt. Gov. Kim Guardagno back in 2011. He's recused on the Monarch Project vote. There's eight other votes he can lobby for Hoboken.